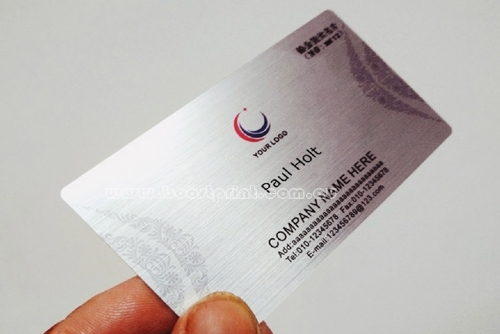 The brushed plastic cards are full colour printed on 0.3mm Brushed Metal Plastic with rounded corners. The modern Brushed Metal Look. Silver plate, black silkscreen print, etch, laser cut The metallic brush effect comes out from the background and looks gorgeous. 2. Can Brushed Metal Business Cards be written on?